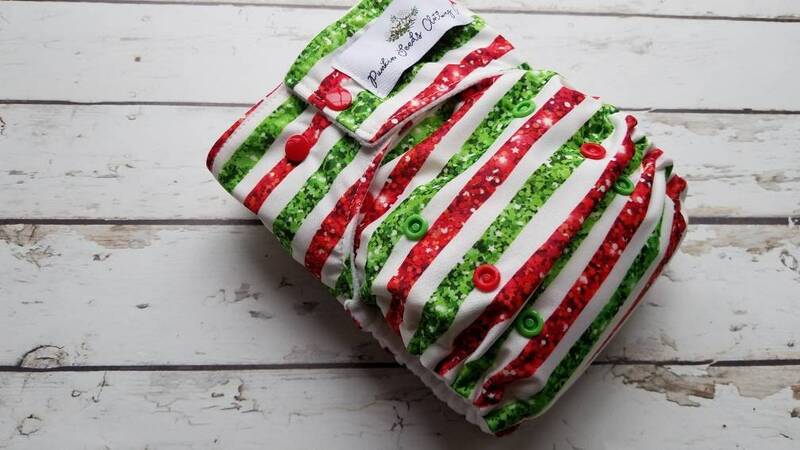 One size pocket diaper is made with outer layer polyester PUL in Christmas Glitter Stripe print and inner layer white microfleece. Poly resin snap closures. Unique front pocket opening keeps you from touching the mess inside the diaper. Just open pocket and shake insert into diaper pail. No touching required! Fits approximately 15-40 lbs.